Singaporeans love their smartphones. There are no doubts about it. According to this survey from all the way back in 2015, Singaporeans have one of the highest mobile phone penetration rate, compared to their counterparts in the region. Smartphones are only as useful as the apps installed on them. We look at these top of 5 mobile apps that prove that you are a true blue Singaporean. How many of these apps do you and your friends have installed on your phone? 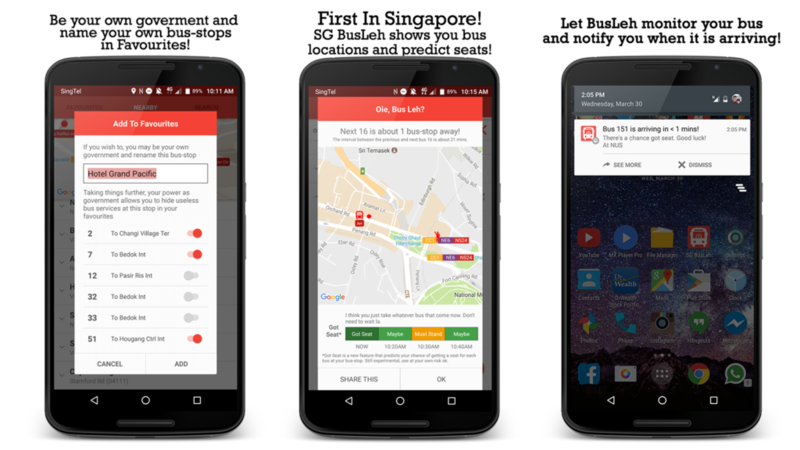 Developed by local mobile app development company Originally US, SG BusLeh is a must have if you take public transport in Singapore. 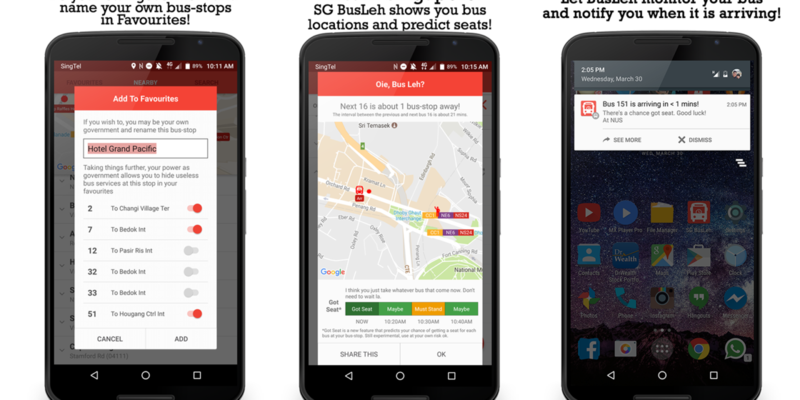 SG BusLeh is one of the most creative and innovative bus app in Singapore. On top of providing you estimated time of arrival for upcoming buses, SG Busleh pioneered various cool and creative features such as the ability to stalk and see the actual location coming buses on a map, provide a gentle reminder when it is time to alight, and even the ability to see NUS and NTU shuttle bus timing. SG BusLeh’s use of entertaining Singlish throughout the app (even before Bus Uncle became a thing) earns it the top spot in our listing. Developed by a local company Nectary Studio, Guess The Word SG is a charades game with a local twist. Their decks feature a very familiar Singaporean twist and is great fun to be paid with friends and relatives during Chinese New Year! Kopi Tiam is the first Android time-management game featuring popular local dishes from Singapore, Malaysia and some say Indonesia! If you ever love games such as Dinner Dash, this game is perfect for you! This game is also wonderful at being a time-killer during those awkward moments when there’s no one your age group to talk to during a CNY gathering. With one of the highest production quality ever out of a Singaporean game studio, Monster Chronicles is a real gem that can take on those high production value game produced by big Japanese and Korean game studio. 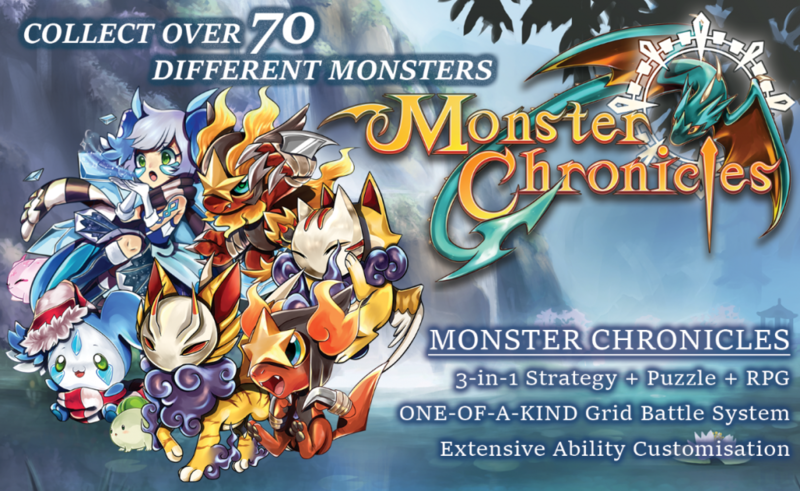 Monster Chronicles is a unique mix of puzzle, strategy as well as RPG game, with a unique battle grid system not unlike playing Tic Tac Toe. Staying healthy yet getting to your destination cheaply and comfortably? Ofo is the latest craze to sweep Singapore. 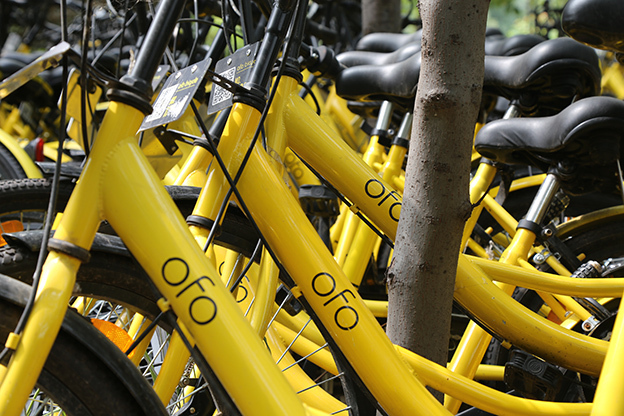 Those brilliantly coloured bikes are now everywhere in our city, allowing you to hop on and ride away with just a few simple taps on the Ofo bike app. So, are you Singaporean enough? How many apps of these do you have installed on your smart phone? Are there other apps that should make it on this list (I’m sure there are). Let us know in the comments below! Related Post: Smurf exhibits designed by celebrities - can you guess who designed which?